High quality hand-made sleeve for precious collector’s items. Pack of 10. A pair of thick flat kraft papers colour taped on both sides by Japanese craftsmen prevents damaging vinyl caused by bag gussets. 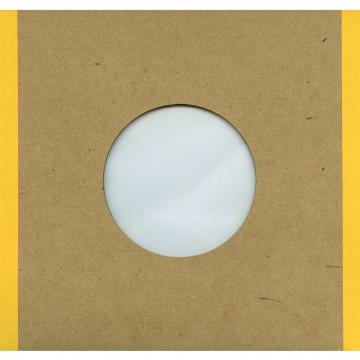 Glued poly inner also protects the label from friction which is very impotant as well as making it easier to slide records in and out ensuring its use for both careful collectors and heavy users. No.4 at Genre Ranking on Mar 19, 2019. No.2 at Sub Genre Ranking on Mar 19, 2019. No.4 at Format Ranking on Mar 19, 2019.